I would strongly encourage you to not live in Silverbrooke Villa. 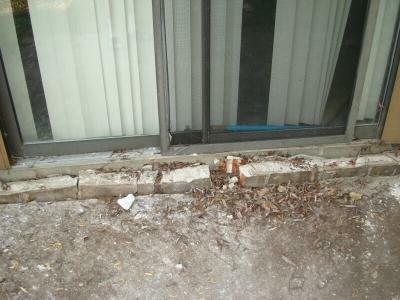 Below find information on the 8 months I lived in this apartment complex in West Bloomfield, Michigan. 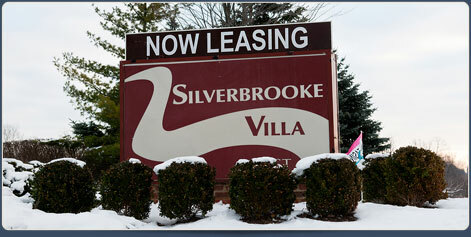 Below is a listing of my experiences living in the Silverbrooke Villa Apartments located in West Bloomfield, MI. I signed a year lease with Etkin and Company, the company that owns Silverbrook, in February of 2011. After the incidents I will detail below, I was able to convince Etkin to release me from the remainder of my obligation and moved out in November, 2011. February, 2011 - I move into 2 bedroom, 2 bath unit Silverbrooke Villa. Rent for the unit is $1110 per month (not cheap). April, 2011 - FedEx delivery stolen off my front porch. I chalk it up to unfortunate timing. Fedex delivered early in day, kids are getting off buses at 2 PM and often outside around porches. June 19, 2011 - Argument outside my window erupts. My female neighbor is arguing with the father of her children. The father wishes to see his children on Fathers Day, the mother argues the father has no visitation rights for the day. The mother then falls and accuses the father of domestic violence. The children then enter the scene, and begin fighting with the father over the hurt mother. Minutes later, the new boyfriend shows up with a baseball bat and begins beating the fathers car. Both men exchange blows and then depart, promising to return with guns. I call the police, who show up too late to catch either men. I know a police report exists but I do not know the case number. 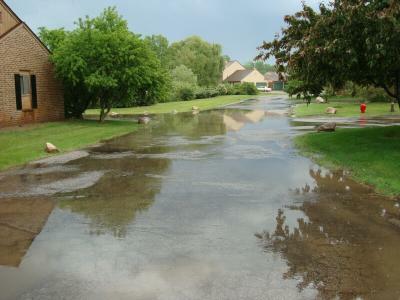 July 24, 2011 - Being the summer, I was regularly running a 1.5 mile loop in the neighborhood. I return from my run to find that my house had been broken into, $150 in cash and $20 in loose change was stolen. I called West Bloomfield Police. The officer confirms it was a neighbor watching my movements, and timing me to ransack my house while I was on my run. West Bloomfield Case # 11-10119. At this point, I know my neighbors, particularly the older teenaged boys were up to no good. I had been marked as an easy target. July 31, 2011 - I had friends come to my house for a bar-b-que. Over dinner, the adults were in the dining room, and the children eating in the living room. The eldest son of my friend came in and asked why a man was going through their truck. The father immediately dashed through the living room out into the common parking area. A young black man in his early 20's had opened the tailgate of his truck, and was going through the materials. As my friend opened the sliding door, the man turned and ran away. We decided not to call the police, to save the children the drama of talking with the police. August, 2011 - At this point I decided I could no longer be a simple country bumpkin. I needed to at least take a proactive approach to the safety of my house and person. I purchased 3 webcams, and set them up looking out my doorwall, and 2 of my windows. I would run software on my computer that would track any movement out the windows. The cameras are displayed very conspicuiously. I hope their presence acts as a sort of deterrence. I merely want to be left alone. September 16, 2011 - I am getting ready for bed at 11 PM, and decide to review the camera footage for the day. I proceed to find an hours (!) worth of video, of 3 of my neighbors attempting to break into my house. Distirbuingly, these aren't 40 year old degenerate thugs. In fact, a girl, about 10 years old is one of the perpetrators. In one especially disturbing moment, the young man, tired of playing with the screen trying to break in, returns with a very large knife, and cuts his way through the screen door. The criminals here worked on my doorwall from 6 to 7 PM in the middle of a summer day. I was supposed to be home, but one of the gentlemen at work needed my help and I worked late. I call the West Bloomfield Police Department, who take another report, and give me another case number: 11-13182. I tell the officer that the people on the tape live right near by. If he waits here 30 minutes, the individuals will likely walk by. The officer cannot wait. I make a DVD of the hour of footage of the break in attempt. The officer tells me he will give the video to the detective that gets assigned to the case. September 17, 2011 - In apparently retaliation for calling the police, in the early morning hours of September 17, my doorbell was run twice in the night, including once at 2 AM. In addition, at 3:30 AM, my friends vehicle, parked outside, had someone attempting to get in through the doors (which were all locked in the end). I shined my flashlight on him, but as I ran into the living room the criminal was gone. Did not call the police. Late September, 2011 - I write Etkin and Company a formal letter, delivered by Registered Mail to their headquarters in Walled Lake, Michigan, asking to be let out of my lease. I tell them I have an hours worth of footage of 3 neighbors attempting to break into my residence, using weapons. In addition, I tell them of the transgressions mentioned above, and tell them I feel threatened. Etkin refuses my request, and informs me they did not have any obligation to protect me. Even though I am put at risk due to the business relationship Etkin has with the criminals attacking me, Etkin refuses to agree they are under any obligations. Early October, 2011 - Someone throws a brick through the front, side and rear windows of the late model Ford Thunderbird parked in the common parking area shared with my 5 neighbors. It's interesting to note that in the earlier, September break in video, you can see the criminals looking around for something to throw through the window. 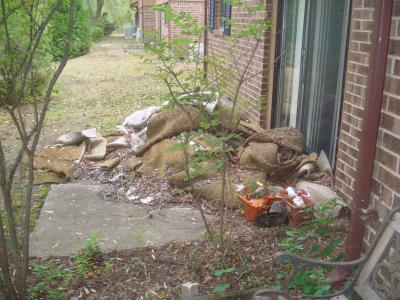 I go outside and pick up all the rocks and bricks in the area of my apartment, and dump them all locked in my garage. October 6, 2011 - Before going to bed I decide to check the footage from the. Again, I find another neighbor, a different person than was involved in the Sept 16 incident, attempting to break in via my doorwall. The most disturbing part was that I was home at this time. If I had gone out and filled my bird feeder when I got home work, my doorwall would likely have been open, and this armed young man would have been in my house with me. I call the West Bloomfield Police Department, and speak with the Detective assigned to my case. I tell him what happened, he takes the report and attaches it to the previous case file. I ask him if he's had any luck with the September 16 incident. He tells me he never received the DVD video I gave the officer. He was also unaware that the previous perpetrator were all actual neighbors of me. I ask again if the detective will come look at the neighbors and I can point the point out that are also clearly on video. They live and walk around my apartment all day long, they are easy to find. The detective cannot help me. He tells me he will watch the video, and if they get in "you have the right in Michigan to protect yourself". I ask if they can send additional officers around, they cannot. October 29, 2011 - As I am preparing to leave for the evening, my power goes out. I initially think it's simply a downed power line, but then I notice all of my neighbors still have their power. I begin to get a strange feeling that something is wrong. I called the electricty company who dispatches a crew. 2 hours later, I get a knock on my front door. The technician asks me if "I had a friend that was playing a prank on me?" I tell them no, and they proceed to tell me there's a common utility shed, and someone broke the lock off the shed. They then went in, and broke the lock off just my electrical circuit, and turned off my power. Just to repeat what happened here, someone broke locks, with the sole purpose of shutting off the power to my residence, while I was home. The crew member flipped the switch and restored my power. November 4, 2011 - Someone breaks into the utility shed again, and shuts down my power. I grab flashlight and run out there, perpetrators are gone already. I buy an expensive lock to put on my circuit so criminals cannot turn my power off. November, 2011 - Etkin and Company agree that I can break my lease. I have a 1 time exemption, and can move out Dec 1, 2011. In summary, there are a lot of bad people living in the Silverbrooke Villa apartment complex in West Bloomfield, Michigan. Unfortunately, the upper management of Etkin and Company doesn't seem willing to do anything to combat the problem, which is tantamount to endorsing it for those people forced to live in the conditions. I would strongly urge you, under no circumstances, live in the Silverbrooke complex. In addition, denying someone the right to leave when conditions threaten the very safety of the resident is ridiculous. Also please note the Silverbrooke Reviews on ApartmentRatings.com. As I type this, December 29, 2011, Silverbrooke Villas has a 7% satisfaction rating. 7%. Also, take a look at some of these fine photos of Silverbrooke Villa, also available from the link above.